The NCover Explorer is a GUI intended for users who don't have access to an HTML5-compatible browser. You can access NCover Explorer from Start > NCover v4 [Application Name] > NCover Explorer. 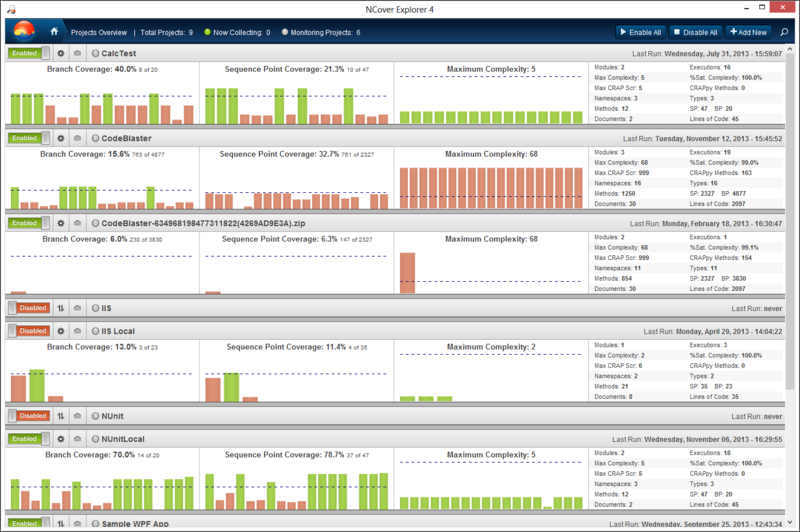 The NCover Explorer GUI offers the same functionality and coverage drill-through capabilities as the web application, allowing you to quickly and easily examine your code coverage statistics at every level, from Project, to Module, to Method and all the way down to individual lines of source code.